Ultra buoyant floating spod braid. 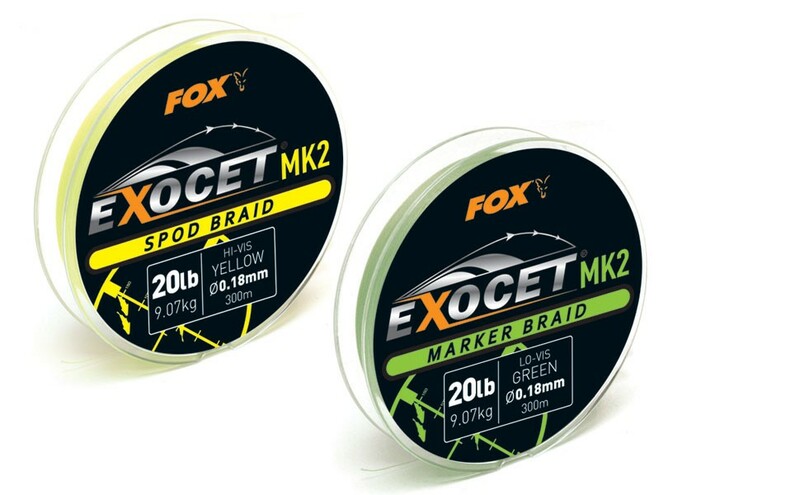 Exocet MK2 Spod Braid has been designed specifically for spod work and is a tried and tested workhorse product. This braid is availible in a high visibility yellow or green with high buoyancy, making it easy to retrieve your spod from long distances with ease. 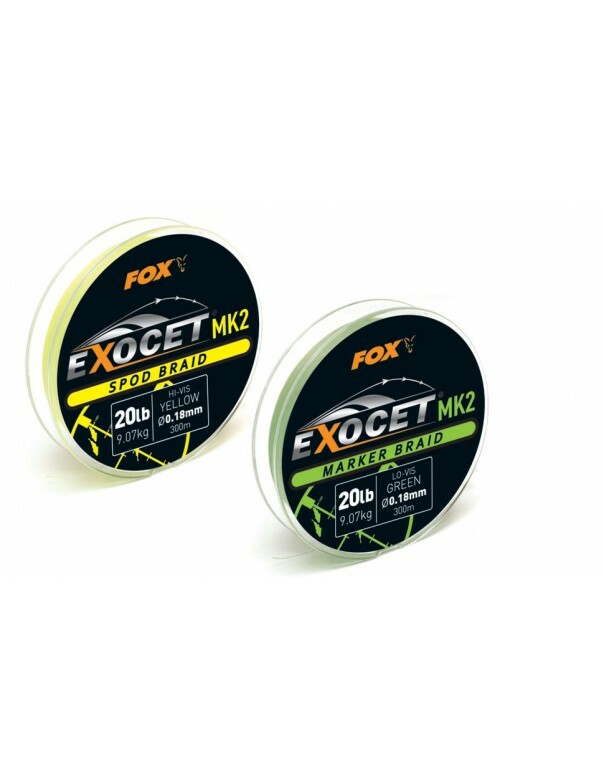 The spool contains 300m and is rated at 9.07kg and it is recommended that a forward leader be used when spodding at range. Availible in yellow and green.